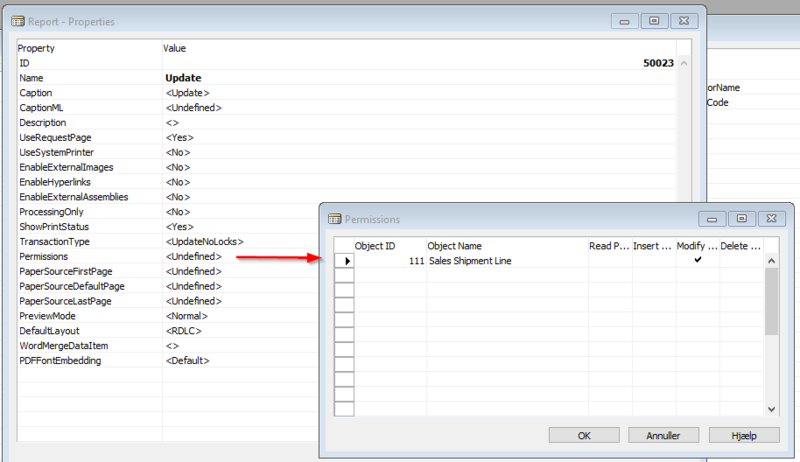 I have error "You do not have the following premissions on TableData (Table): Modify" when I try to change data in posted documents from development. The reason is license ofcourse. I put developer license by make Change license in development environment but it doesn't work. When I put license by Upload it works, I can change data I want to. Why doesn't work when I set license by Change button? I don't want to put developer license to client system. First issue is that I dont have client license, so if I upload our license this license stay there. The second issue, and more important is when I upload developer license to client system I have to restart NAV service. This is unacceptable during working hours. My question is. There is some other way to change data on the system without restart service (I know I can change it by SQL but it is more dangerous)? Thank you from the mountine. When you run RTC it reads the licens from the NST, not your development environment. 2. You can create an object with permission to modify the data: save it and run this the normal way. 3. You can create a new NST and upload your development licens here and after your are done import the customer licens and delete the NST.